The release of Anita Thatcher's film Homage to Magritte in 1975 coincided with the start of my own professional career working in MOMA’s film archive. Upon viewing it for the first time back then, her film left an indelible impression upon my mind, and has remained one of the main markers in my experimental film viewing experience. This film struck me both for the graphic beauty of the imagery as well as for its simple elegance in the representation of time and space in cinema. As did her later installation Anteroom (1982), recently reinstalled at Microscope Gallery, which confirmed for me that Anita Thatcher was truly an accomplished modern artist whose multidimensional career accomplishments are only now beginning to fully sink into our collective consciousness. A few years before Anita became aware of her illness, she discussed with me the appropriate institution that could archive her films. I was happy to help think through the options and possibilities. I am very pleased to now announce that the Academy of Motion Picture Arts & Sciences has taken her films for archiving, preservation and eventual exhibition. Click on this link to select sections of the program you wish to view. 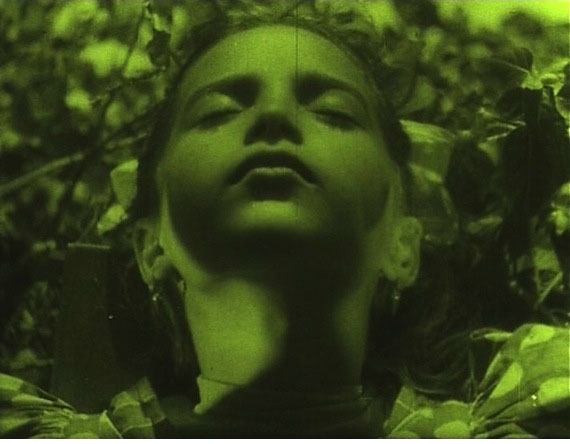 Anthology Film Archives will be exhibiting the films of José Val del Omar in their programmed retrospective "Distant Touch: José Val del Omar: A Retrospective" from March 16th through March 19th. GME sells the DVD publication of the complete works of Val Del Omar for North American institutional sales. Anthology Film Archives will be showing "The Films of Dziga Vertov" as part of its Essential Cinema Repertory program from Saturday, February 11 through Monday, February 12. GME sells DVDs for all of these films for North American institutional sales, which includes KINO-EYE; FORWARD, SOVIET; A SIXTH OF THE WORLD; THE ELEVENTH YEAR; MAN WITH A MOVIE CAMERA; ENTHUSIASM, and THREE SONGS ABOUT LENIN. THE LATE MATHIAS PASCAL will be shown at Film Forum in New York City with a live piano accompaniment by Steve Sterner on Sunday, January 15th. The Blu-ray publication of the film is available from GME for North American institutional sales. The Harvard Film Archive will be screening films from the London Film-Makers' Co-op as part of its program "Shoot Shoot Shoot" on Friday November 4th. The title for its program comes from a telegram addressed to Jonas Mekas and the New York Coop, announcing the formation of the London Film-Maker's Cooperative in 1966. GME distributes the DVD title of the same name featuring many of the same filmmakers exhibited in this Harvard program. To celebrate the 50th anniversary of the London Film-Makers’ Co-operative, this screening presents a selection of work by some of innovative film artists who gathered there in its formative years: David Crosswaite, Marilyn Halford, Malcolm Le Grice, Mike Leggett, Annabel Nicolson, William Raban, Lis Rhodes and John Smith. Inspired by the example set by Jonas Mekas and his colleagues in New York, the London Co-op was founded in 1966. In contrast to similar organizations, the LFMC’s activity was not limited to distribution; within a few years it was running a regular program in its own cinema and, most notably, had a workshop in which filmmakers could control every stage of the creative process. The Museum of Modern Art begins its film series "From Doodles to Pixels: Over a Hundred Years of Spanish Animation" this Wednesday September 7th through September 15th. GME currently distributes for North American institutional sales the Cameo Media DVD publication FROM DOODLES TO PIXELS: A JOURNEY THROUGH SPANISH ANIMATION (DEL TRAZO AL PÍXEL: UN RECORRIDO POR LA ANIMACIÓN ESPAÑOLA), which presents many of the same animators featured in the MOMA series including Francisco Macián, Robert Balser, Isabel Herguera, Javier Mariscal, Mercedes Gaspar, Rodrigo Blaas, Anna Solanas, Laura Ginès & Alberto Vázquez. Marcel L'Herbier's L'INHUMAINE will be screening tonight at the Film Society of Lincoln Center's Walter Reade Theater, 7:30pm, presented with live score by the Alloy Orchestra. GME offers L'INHUMAINE on Blu-ray for North American university sales.